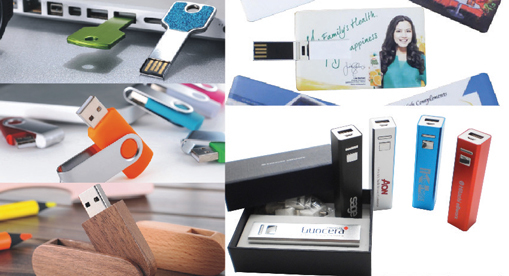 We are trusted promotional usb thumb drive supplier with customized logo in Malaysia. We have wide selection of pen drives model that are specially selected to cater for corporate companies. Among the popular models are Classic USB drive, Leather thumb drive, key shaped pen drive, Custom made Flash drives, Wooden pen drive, Wristband thumb drives and Credit Card Shape Pen Drive. As a reputable pen drive supplier and wholesaler in Malaysia, we always ensure that our products are come with highest quality. We are only using Toshiba or Samsung nandflash in all our selling promotional flash drive to customers with 1 year warranty due to manufacturing defects. In Malaysia, thumb drive is normally referring as pen drive or usb flash drive. There are 2 type of usb thumb drive available in the market namely the branded (Kingston, Sandisk, Sony) and generic type. Normally, pen drive selling as promotional gifts are using generic type as it is cheaper and the thumb drive casing is not pre-printed with the selling brand name. Most of the corporate customers who are looking for personalized usb flash drives are the customers who require their company logo only on the thumb drive housing. We can personalize the usb flash drive with different type of logo branding options depending on the materials of the usb flash drive including silk screen printing, pad printing, debossing/embossing, laser engraving, full color printing, light up logo set up and domed printing. As a professional custom flash drive supplier, we will advise you the pros and cons of using different type of branding on the usb flash drives. We do offer custom thumb drive packaging boxes ranging from budget to exclusive to cater for different type of pen drives and budget of the customers. We strongly suggest customers choose to have packaging box for the USB thumb drives as it will further enhance the branding and image of the company to the receiver of the gifts. We can even make the packaging box looks more premium by personalized the packaging box with logo printing. Sometimes, you may need to preload the data into the usb flash drive to be given out as corporate gifts to clients. The data preload can be company profile, product catalog or presentation slides. We offer data preloading service free of charge if the total preload data size is smaller than 200MB. The preload data can be normal data loading (eraseable) or locked data loading (uneraseable). Look no further If you are looking for quality promotional flash drive for your company, we are your trusted pen drive supplier that able to provide one stop service to supply as well as personalize the usb thumb drive for your requirement. Please do not hesitate to contact us at 03-80703828 if you would like to have quotation or consultation from us. You may download a softcopy of the pen drive catalogue here. We have newly set up a website selling creative cartoon pen drive with very competitive price. Feel free to visit www.onlinegiftsmalaysia.com for your unique selection. With so many promotional usb flash drives on different models and styles out there, it is natural to feel a bit overwhelmed. Making the right choice could further enhance your company image with the unique products. When it comes to private & public sectors, promotional USB flash drives have become the in thing as a giveaway. However, you just cannot choose any random promotional USB flash drive, as you need to consider several factors such as the style & the memory of the flash drive that is perfect for your business. Besides this, you even have to choose the one that well within your budget, and have all the necessary features you have been looking for. Prior to comparing the available options, you first need to take into account your requirements and whether or not the USB flash drive is ideal of your business. There’s no doubt that each flash drive has an appeal of its own kind, but it’s not necessary that they are the right choice. For instance, if you are running a hair salon or an auto workshop, then you would be better off going for a thing which reminds your customers about your business each time they see it without reading the name of your business such as car shaped usb flash drive for the auto workshop. However, if you have already made up your mind to go for promotional USB flash drives then it would be a better idea to first go through the reviews and do some research online regarding which one is the best for you. The first thing that you need to consider is the memory size of the USB. Today, flash drives are known by different names such as USB sticks, thumb drives, pen drives, jump drives & memory sticks and are available in different memory sizes such as1 GB, 2 GB, 4 GB, 8GB, 16GB, 64GB, 128GB. The lesser is the memory the lower would be the price. The next thing that you need to consider is the style of your flash drive. Although, the features and the components of all the drives are almost same, the promotional USB flash drives are available in different attractive external designs. Some come with removable caps, some can flip open, or come in the form of key chains, carabiners & lanyards. Besides, they are made up of different materials such as wood, plastic or metal. Apart from this, their shapes are different too, and can be in the form of a robot, heart, company logo or any comic figure. However, when it comes to business, you should go for customized flash drives that can be in the form your company logo or mascot. Normally, the plastic bodies are printed whereas the metal or wooden bodies are either etched or printed. No matter what style or variety you go for, you have a huge color option and can choose any design that best serves your purpose. Most of the experts suggest that it’s always better to take price quotes from 3 to 4 pen drive vendors in order to get the best deal. Moreover, do not forget to consider factors such as delivery time, vendor’s reputation, credit terms & return policy. Besides, it would be a good idea to first go through the samples of flash drive bodies in order to know what exactly you could expect. A while ago, the ultimate purpose of flash drives was to store your important and necessary data. You did not need to carry your laptop with you wherever you set off for your business deals or meetings or for any other reason, as you had the convenience of storing your information on a USB drive as an alternative. With enough memory USB flash drive, you did not have worry about the size of data you wanted to store on it. The flash USB drives are still effective for the same, but now they allow you more than just storing great amount of important documents, media, and other content you have. When it comes to business promotions, there are a variety of promotional products that are effective forms of marketing and advertising. In last several years, some new marketing inventions such as promotional pens, personal organizers, and umbrellas have appeared to be revolutionary products in the business world. However, businesses and more significantly their consumers are always willing to get something more and of course something innovative. This perception takes them to another revolutionary invention known as promotional USB flash drives. This product has been praised as a wonderful marketing tool by large businesses, companies and organizations. Not only this, even mid-sized and small businesses use this little memory stick to promote their business to their existing and potential consumers. Promotional USB thumb drives have come up as an outstanding marketing tool and are really worthwhile in giving you the best return on your investment. They are an extraordinary advertisement for products or services you’re offering to your potential and existing customers. They help you securely transfer and swap bulky pieces of information quickly and easily between various people or groups. Your clients, workers, and business associates utilize their flash USB drives likewise. You can consider this growing marketing characteristic of your drive being offered and given out to your clients and the potentials on outcome. The promotional USB flash drives can be printed in diverse colors on the case of the gadget that allows the company’s advertisement. You may refer here for the type of branding options.Moreover, you can produce the cases in lots of different shapes and modified designs. 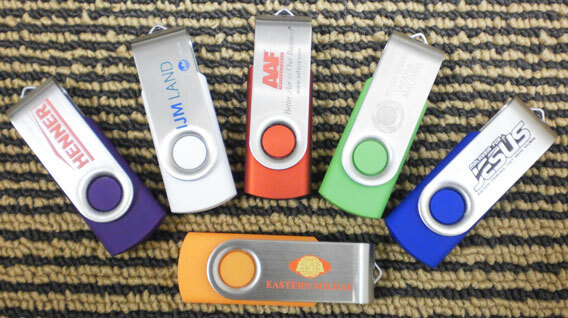 You can achieve numerous benefits of a promotional USB flash drive; however, it is advisable to pick a promotional flash drive supplier that occupies quality materials and carries strong customization options so your ideas can arise with a design that flawlessly summarizes your advertising message. The Promotional USB flash drives carry a valued aspect because these serve as the latest and truly effective method to convey your marketing message to your existing and potential customers, exchange the ideas between business associates, and serve various other marketing and business purposes. In addition, The Promotional USB flash drives are cost-effective. They are not costlier than the traditional promotional products and have more worth for your customers, business associates, and overall business. Buying these drives in bulk is always a good idea to keep comparative expenses down and simultaneously get enough stock to hand out to your prospective customers. In Malaysia, promotional usb thumb drive suppliers are referring as ” pembekal pen drive ” or ” pemborong pen drive” . There are two different type of vendors in thumb drives industry namely the wholesalers specially cater for promotional gifts and wholesalers of branded usb flash drives to local retail industry. Original Memory guarantee for all our promotional thumb drives. We are Malaysia leading in supplying promotional usb thumb drive with Original Toshiba/Samsung Nandflash. Please contact us today for inquiries. Flash drives or USB thumb drives as they are also known are a device for data storage that is of the NAND type as described on this wikipedia page here. the devices being integrated with an interface that is a USB. They are very convenient due to their small size and weight and the fact that they are both rewritable and removable. These drives are available with different storage limits ranging from usually 4GB to 64GB. There are a number of advantages of using a thumb drive as opposed to the now antiquated floppy disc. They are smaller, more reliable, rarely break due to the lack of moving parts, and they can hold more data and are faster too. Inside a thumb drive you will find a circuit board; this board is printed and encased in a tough metal or plastic exterior, meaning you can carry it around in your bag or pocket. There is generally a removable cap on the end that protects the protruding USB connector. The vast majority of flash drives can be connected directly to your PC through a standard USB connector. The USB connection provides the power supply for the flash drive, meaning that it needs no other external source of power and will work when simply connected to the USB of your computer or other device. You need to connect your flash drive to your computer via a USB port or HUB in order to read the data that is saved on it. The very first USB flash drive that was created was an 8MB version that was known as the 16 megabyte “disgo”. Dov Moran, CEO and president of M-System Flash Pioneers invented the very first flash drive in 1998. The now Vice President of SanDisk, Dan Harkabi led the marketing and development of the drive at M-Systems. The most significant advance made by him was the development of a flash drive that did not need you to install any drivers to use it. Trek 2000 and Netac also undertook simultaneous developments, creating very similar products. These three companies all patented their devices, the patents being disputed at the time. The first flash drive to be sold was in the US, the drive being sold in 2001 under the name “Memory key”. The drive had an 8MB capacity. Later on, Trek 2000 manufactured a 16MB version that was introduced onto the market by IBM; then in 2003 the 64MB version was to be introduced by M-Systems. Lexar is another company that can lay claim to a flash or thumb drive. In 2000, Lexar were to produce a CF (Compact Flash) card that had an internal USB. This product eliminated the need for a USB as it was offered with a USB cable and a companion card reader. The first thumb or flash drives that were to be sold in Europe were sold under the “disgo” name, and they were made by M-Systems in sizes of 8, 16, 32, and 64MB. This product was marketed to kill the floppy disc for good, and the largest capacity to be introduced onto the market was 256MB. After the introduction of flash drives in Europe, cheaper alternatives would then appear onto the Asian market. A modern flash drive has a USB2.0 connectivity. However, although systems will support a 480 Mbit/s drive, technical limitations in the NAND flash mean that this limit is never actually reached. Everywhere you look nowadays you will see flash drives that include business logos and are printed and made in many different designs. Flash drives have mean that businesses have been able to reach their real branding objectives, the promotion merchandise being heavily successful. When you own a flash drive, you can simply save and transport your files and data wherever you go. A business can promote itself to anyone, anywhere; all that is necessary is a USB port. Businesses are even able to offer further services such as providing catalogs, discount vouchers, and promotional materials on their pen drives. They can include huge amounts of electronic data on their drives, providing huge success for them wherever they go. Since the first introduction of the flash drive, the growth has been extremely quick, and both the quality and quantity have increased. Businesses began to make bulk order of flash or thumb drives; this meant that they could save both time and financial resources. Also, the quality of flash drives has improved immensely since they were first introduced, and there is a wide range of capacities available to meet the different demands of the consumer. Some people require a small drive such as an 1GB drive for personal use; others need 32GB or more for their business requirements. As well as choosing from different storage amounts, businesses can also choose promotional flash drives to promote their brand, the storage limitations being unimportant in this case. As well as flash drives and thumb drives, businesses have also being developing USB watches and pens; in these cases the development has been geared more to design and fashion rather than to the actual capacity of the drive.